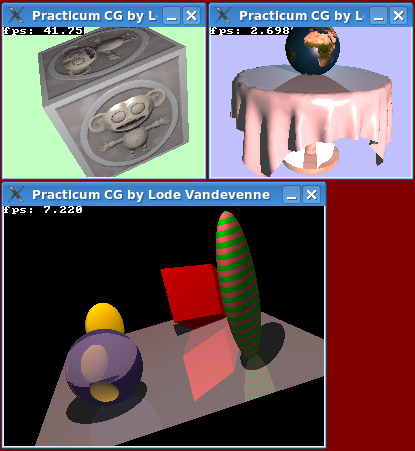 QuickCG is a little SDL codebase written in C++ used mostly by my Computer Graphics Tutorials, but also useful for other projects. It's released under the BSD license. The source code is available to download on the CG Tutorials page from the link above. QuickCG is multiplatform. Instructions for compiling it in Linux and Windows are provided on this page and some examples that show most features are here. In Windows, the mingw32 compiler, and the IDE Dev-C++, are highly useful for this, in Linux it's just 2 seconds to type the g++ command, in Mac OS X it's also reported to work. Here's a list of things supported by QuickCG, all through SDL and the C++ standard library. QuickCG is useful for pure 2D pixel graphics. 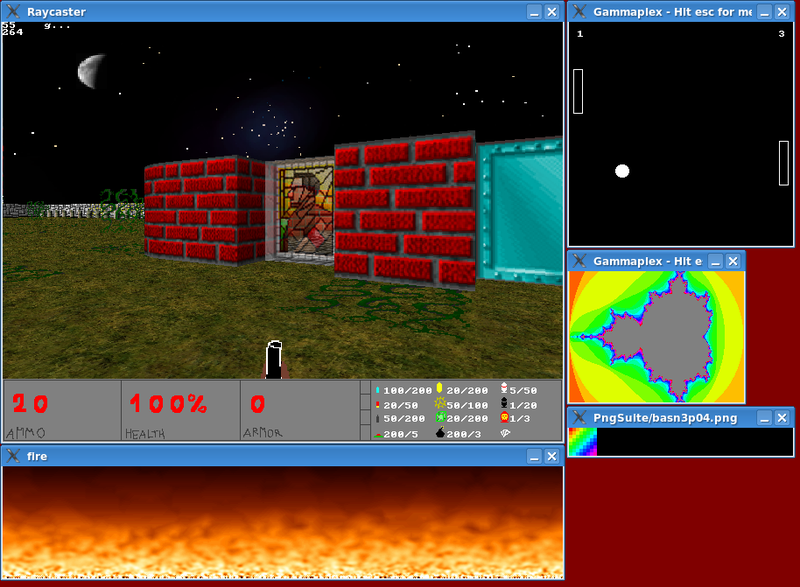 For a a 2D tile game or regular 3D graphics, an engine that uses OpenGL (e.g. lpi) is more useful. QuickCG doesn't support OpenGL. Copyright (c) 2007 by Lode Vandevenne. All rights reserved.